HMS Vanguard was a British fast battleship built during the Second World War and commissioned after the end of the war. She was the biggest and fastest of the Royal Navy’s battleships, the last battleship to be launched in the world, and the only ship of her class. The Royal Navy anticipated being outnumbered by the combined German and Japanese battleships in the early 1940s and had therefore started building the Lion-class battleships. However, the time-consuming construction of the triple-16-inch turrets for the Lion-class would delay their completion until 1943 at the earliest. The British had enough 15-inch (381 mm) guns and turrets in storage to allow one ship of a modified Lion-class design with four twin-15-inch turrets to be completed faster than the Lion-class vessels that had already been laid down. Work on Vanguard was started and stopped several times during the war, and her design was revised several times during her construction to reflect war experience. These stoppages and changes prevented her from being completed before the end of the war. Vanguard’s first task after completing her sea trial at the end of 1946 was, early the next year, to convey King George VI and his family on the first Royal Tour of South Africa by a reigning monarch. While refitting after her return, she was selected for another Royal Tour of Australia and New Zealand in 1948. This was cancelled due to King George’s declining health and Vanguard briefly became the flagship of the Mediterranean Fleet in early 1949. During the early 1950s, Vanguard was involved in a number of training exercises with NATO forces. In 1953 she participated in Queen Elizabeth II’s Coronation Review. While she was refitted in 1955, the Admiralty announced that the ship was going to be put into reserve upon completion of the work. Vanguard was sold for scrap and was broken up beginning in 1960. 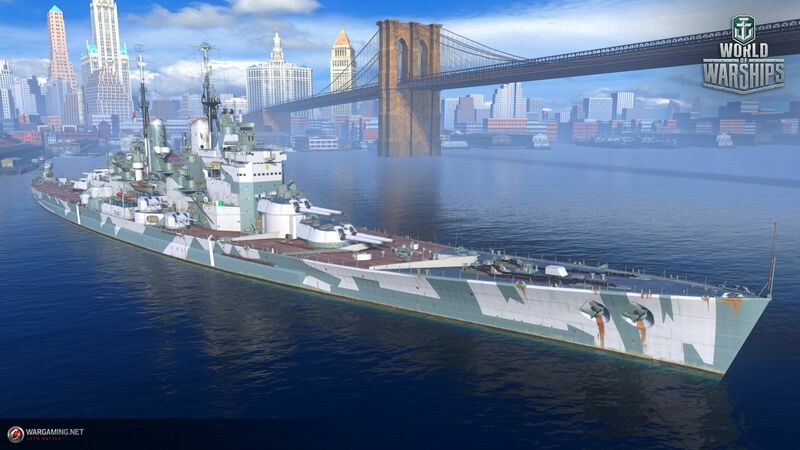 One of the most anticipated battleships, HMS Vanguard will finally make it to the game as a Tier VIII Premium battleship. More details as soon as they are available. AA Defense 10×6 40.0 mm, range – 3.5 km, damage per second – 292. 1×2 40.0 mm, range – 3.5 km, damage per second – 25. 11×1 40.0 mm, range – 3.5 km, damage per second – 96. 8×2 134.0 mm, range – 5.2 km, damage per second – 68.